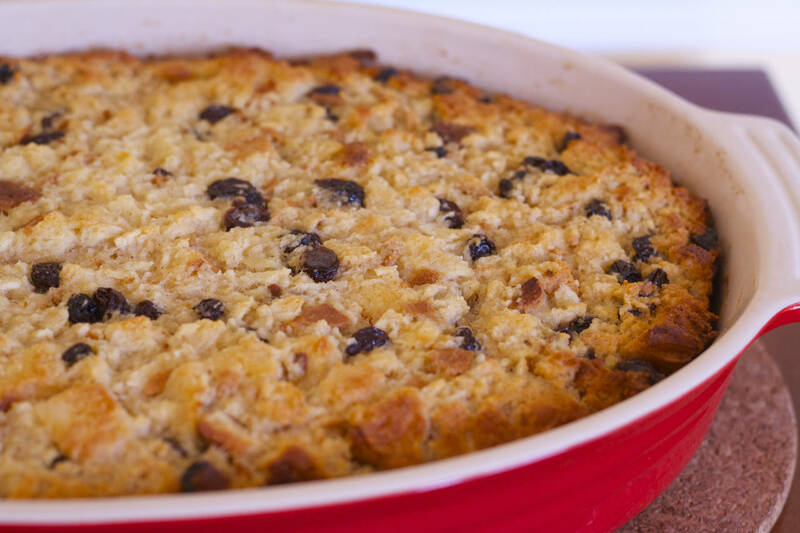 To make a terrific bread pudding, start with a day-old stale loaf of bread or leftover rolls. If you're planning ahead, you can leave a sliced loaf out overnight, uncovered, to speed up the staling process. If you prefer, you can substitute high quality bourbon or whiskey for the rum. Combine raisins and rum in a small bowl. Stir to combine and pat raisin down until submerged in as much of the liquid as possible. Cover and let rest. Slice loaf and lay on a plate, uncovered, to become stale overnight. Cut bread into 1-inch (or smaller) pieces and place in a large bowl. Pour milk over bread and stir to combine. Press down on bread and stir until milk has been absorbed. Set aside. In a medium bowl, cream eggs, sugar, vanilla, cinnamon, and nutmeg with an electric hand mixer. 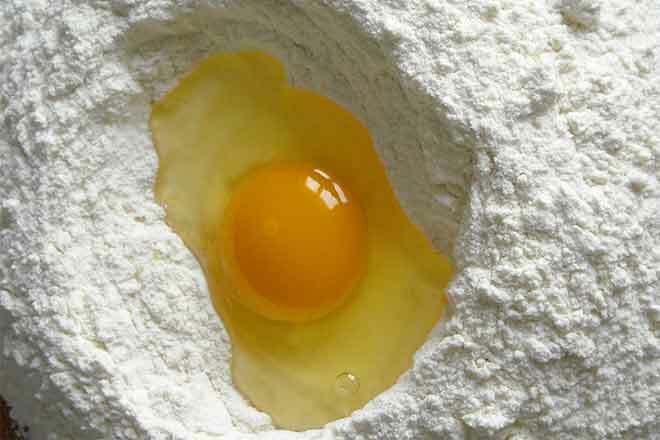 Add creamed sugar-egg mixture and rum-soaked raisins to bowl with bread and stir to combine. Coat a9x13 inch baking dish with melted butter. Pour in bread mixture and spread evenly, pressing down as you go. Bake at 350degF until golden brown and edges start to pull away from the sides of the pan, about 35 to 45 minutes. When bread putting is done, remove from oven and let cool on a wire rack. If desired, top with rum sauce. While bread pudding is baking, melt butter in a small saucepan over medium-low heat. Add sugar and egg and whisk to combine. Continue to whisk until mixture thickens, about 2 minutes. Whisk in rum and remove from heat. The sauce should be soft, creamy, and smooth. When bread pudding is done, pour half of the sauce on top of the bread pudding and let sit for 30 minutes to soak into bread. Serve rest on side. Best eaten fresh, but can be refrigerated and reheated in the microwave or oven for up to a week. From MakeBetterFood.com. Dec 17, 2012. (http://makebetterfood.com/recipes/rum-raisin-bread-pudding/). Adapted from Simply Recipes.